I have been working on a cute little felt fox...a Christmas gift for my daughter. She is 9 and better able to appreciate handmade dolls then she was a few years ago. I am making a pattern as I go and will eventually put it on Etsy for sale. 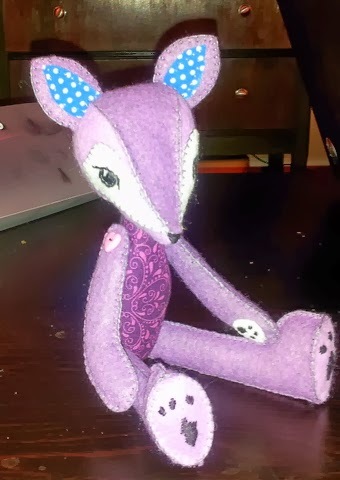 She measures about 7" tall, and has button joints, making her arms and legs movable, When complete she will have dresses and knitted accessories..I will post more as she develops. I am having so much fun making her!